Join Barb and John as they discuss climate change and all the recent and ongoing hurricane activity; Russiagate and Trump Jr. and Mueller’s contact of WH staff regarding the initial misleading statement regarding the Russia meeting; and other pertinent topics. 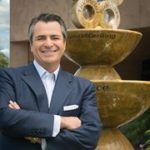 Best-selling author and Founder of the largest business training company in North America (Buffini & Company) Brian Buffini joins the show in the third hour to discuss his new book, The Emigrant Edge: How to Make It Big In America. Brian Buffini has dedicated his life to teaching people how to live the American dream. He speaks from experience, having come to this country as a teenager from Dublin, Ireland, with only $92 in his wallet, and going on to become one of the nation’s top realtors and the Founder of the largest business training company in North America, Buffini & Company. How to grow a do-whatever-it-takes mindset. Born and raised in Dublin, Ireland, Brian immigrated to California at 19 with only $92 in his wallet. Since then, he has become a classic American rags-to-riches story. After discovering real estate, Brian quickly became one of the nation’s top real estate moguls and founder of the largest business training company in North America, Buffini & Company. In addition, he hosts the popular pod cast, Brian Buffini Show. For more information, visit https://brianbuffini.com.